William Boyd, M.D., M.R.C.P., F.R.C.Path. William Boyd, MB, ChB, MD, MRCP, FRCPath, CC (June 21, 1885 – March 10, 1979) was a Scottish-Canadian physician, pathologist, academic, and author known for his medical textbooks. William was born in Portsoy, Scotland, the sixth child of Dugald Cameron Boyd (a Presbyterian clergyman) and Eliza Marion (née Butcher) Boyd. Educated at the University of Edinburgh, he graduated M.B. Ch.B. 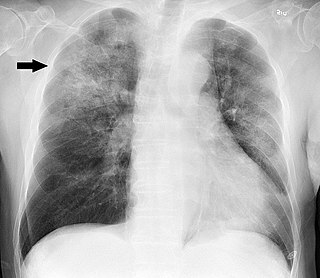 in 1908, M.D. in 1911,  and went on to become trained and accredited as a neurologist, psychiatrist, and pathologist. Boyd worked as an attending physician and nominal pathologist at the Derby County Asylum in the English Midlands from 1909–1912, and at Winwick Hospital (another neuropsychiatric facility) from 1912–1913. He was a pathologist at Wolverhampton Royal Infirmary  from 1913 to August 1914. During World War I, Boyd served as a general medical officer in the Royal Army Medical Corps in Flanders at the rank of captain (O3). In 1916 he wrote the book, With a Field Ambulance at Ypres,  describing his experiences as both a physician and an ordinary combatant in the war zone. Portsoy is a town in Aberdeenshire, Scotland. After the conflict, Boyd moved to Canada at the urging of friends from medical school who were already working there. He married Enid Christie, the daughter of a Presbyterian minister, in Winnipeg, Manitoba in June 1919. Boyd became a Professor of Pathology in the Manitoba Medical College at the University of Manitoba in Winnipeg and over the next 22 years, he wrote several pathology textbooks that were published and read internationally. These earned him worldwide recognition and financial security. In 1937, he moved to the University of Toronto in Toronto, Ontario and, ultimately, in 1951 to the University of British Columbia in Vancouver, British Columbia. Boyd continued to be an active lecturer on medical-pathological topics well into this 80s, and spoke in many different countries. The University of Manitoba is a public research university in Manitoba, Canada. Its main campus is located in the Fort Garry neighbourhood of southern Winnipeg with other campuses throughout the city. Founded in 1877, it is Western Canada's first university. The university maintains a reputation as a top research-intensive post-secondary educational institution and conducts more research annually than any other university in the region. In 1968, he was made a Companion of the Order of Canada, Canada's highest civilian honor, "for his services as a pathologist and as a founding member of the National Cancer Institute". Boyd died of pneumonia at the age of 93 in Toronto. He was survived by his wife Enid; the couple had had no children. 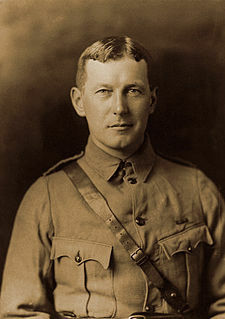 Lieutenant Colonel John McCrae, MD was a Canadian poet, physician, author, artist and soldier during World War I, and a surgeon during the Second Battle of Ypres, in Belgium. He is best known for writing the famous war memorial poem "In Flanders Fields". McCrae died of pneumonia near the end of the war. 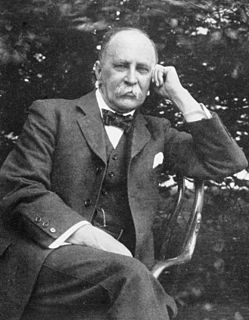 Duncan Archibald Graham, was a Canadian physician and academic who held the first position in the British Empire of chair of clinical medicine, established by John Craig Eaton at the University of Toronto in 1919. He held this position and was Chair of the Department of Medicine and Physician-in-Chief at the Toronto General Hospital, until 1947. Charles H. Hollenberg, was a Canadian physician, educator and researcher. Faculty of Medicine – University of Manitoba is located in Winnipeg, Manitoba and part of the University of Manitoba. The University of Manitoba, Faculty of Medicine's Arms were registered with the Canadian Heraldic Authority on August 15, 2008. Frank Burr Mallory (1862–1941) was an American pathologist at the Boston City Hospital and Professor of Pathology at Harvard Medical School, after whom the Mallory body is named. Sir Robert Muir, FRS, FRSE, FRCP, FRCPE, FRFPSG was a Scottish physician and pathologist who carried out pioneering work in immunology, and was one of the leading figures in medical research in Glasgow in the early 20th century. William Harding le Riche was a South African–born Canadian epidemiologist. He was Professor of Epidemiology (emeritus) at University of Toronto. Lauren Vedder Ackerman was an American physician and pathologist, who championed the subspecialty of surgical pathology in the mid-20th century. Donald Blake Rix, was a Canadian pathologist, philanthropist, community volunteer, and businessman. He was the founder and chair of MDS Metro Laboratory Services, the largest private medical laboratory in Western Canada. Juan Rosai, M.D. is an Italian-born American physician who has contributed to clinical research and education in the specialty of surgical pathology. He is the principal author and editor of a major textbook in that field, and he has characterized novel medical conditions such as Rosai-Dorfman disease and the desmoplastic small round cell tumor. Rosai is also well-known because of his role as teacher, mentor and consultant to many American and international surgical pathologists. William Canniff, was a surgeon, public health pioneer, historian and advocate of Canadian nationalism. Dr. Allan R. Ronald is a Canadian doctor and microbiologist. He has been instrumental in the investigation into sexually transmitted infections in Africa, particularly in the fields of HIV/AIDS. Ronald is the recipient of multiple awards and honours. Arun Garg is an Indo-Canadian physician in the province of British Columbia who is recognized for contributing linkages between Canada and India, his country of origin. Doctor James C. Hogg is a Canadian physician. Ronald G. Worton, is a Canadian doctor. Sir Arthur William Mickle Ellis, OBE, DM, FRCP, LLD was a prominent British Canadian physician, pathologist, and Regius Professor of Medicine at the University of Oxford (1943-1948). ↑ Boyd, William (1911). "The cerebro-spinal fluid in certain forms of nervous and mental disease". ↑ Neil Fox, History of the Royal Hospital; "... William Boyd appointed pathologist ..."
1 2 3 Carr I: William Boyd: Silver Tongue & Golden Pen. Fitzhenry & Whiteside Publishers, Markham, Ontario, Canada, 1993. ↑ Boyd W: With a Field Ambulance at Ypres. George Doran Co., New York, 1916. "Dr. Boyd: After 89 years the mental ability is still there". The Medical Post: 24. June 11, 1974. "William Boyd". Canada's Digital Collections. Retrieved April 18, 2005. 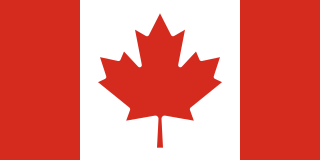 The Canadian Encyclopedia is a source of information on Canada published by Historica Canada of Toronto. Articles appear in English and French. It is available online, at no cost. The Canadian Encyclopedia includes 14,000 articles in each language on numerous subjects including history, popular culture, events, people, places, politics, arts, First Nations, sports and science. Vancouver General Hospital is a medical facility located in Vancouver, British Columbia. It is the largest facility in the Vancouver Hospital and Health Sciences Centre (VHHSC) group of medical facilities. VGH is Canada's second largest hospital, after The Ottawa Hospital.